CBCS houses a number of instruments - depending on availability- , which are available for use through our open-access policy. Below is an overview of the assets available at our facilities in CBCS KI. Within our Open Access policy, limited personnel advice/training is included. The Screening lab for trained persons 4000 SEK/day. The Organic Chemistry Lab 15 000 SEK/month. At CBCS Umeå we have liquid handlers, plate readers and an automated high content screening microscope that after training can be accessed for a minor cost through an instrument user club. LCBKI can offer short- and long-term access to organic synthesis labs, instrumentation and equipment. 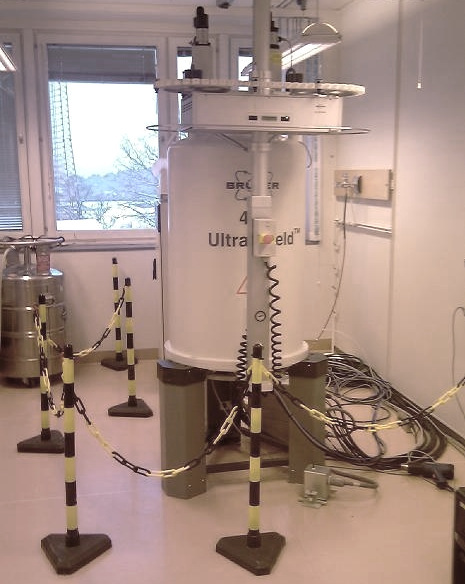 Supershielded Bruker DPX 400MHZ multiprobe NMR with autosampler. 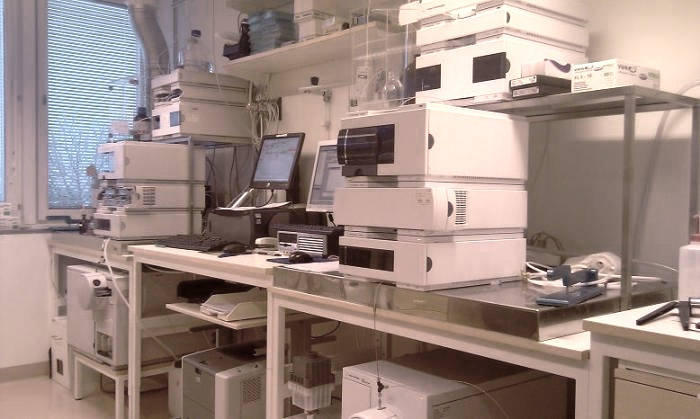 Gilson systems preparative HPLC systems with multiple columns and methods. Agilent/HP 1100 HPLC-MS systems with multiple columns and methods. Equipment for general molecular biology and biochemistry including incubators and capacity to work with eukaryotic cells as well as bacteria, funghi and viruses. Screening can be performed at bio-safety level 2. 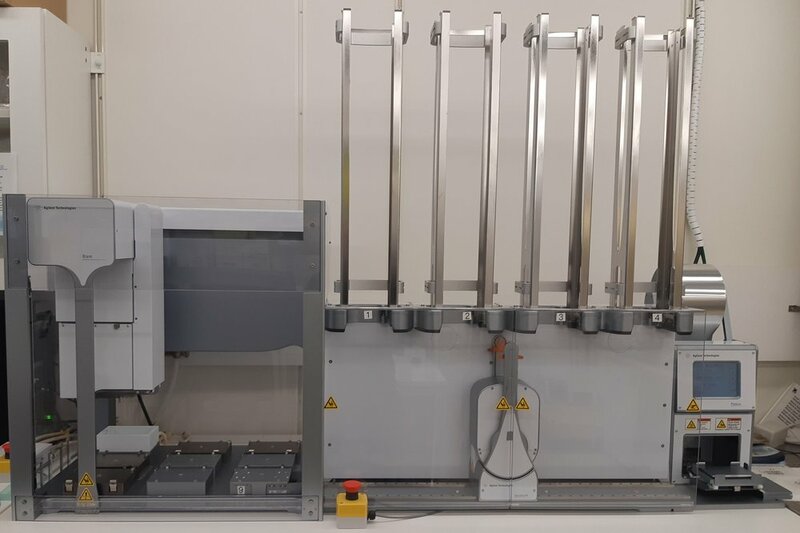 The Agilent Bravo Automated Liquid handling robot is an industry-leading automated pipette performance for sample handling and liquid-transfer applications, coupled to a BenchCel Workstation and a PlateLoc thermal microplate sealer . Multidrop and Flexdrop systems for the automatic dispensing of liquids to 96/384 well plates in nL to µL range. The Tecan HydroSpeed™ plate washer allows for parallel washing of entire 96- and 384-well plates and control of wash power to gain uniform results. Perkin Elmer EnVision or Victor multi-mode plate readers equipped with filters for absorbance, fluorescence and luminescence. Molecular Devices ImageXpress Micro fluorescent microscopes is integrated with a Cytomat cell culture incubator for continuous live cell imaging.